Skype is an all-purpose VoIP software backed by Microsoft and boasts of its 300 million user base which is impressive to the say the least. However, Skype is not made for gamers only. We all have used Skype for voice chats and video calls and even text messages at some point in time. With Skype, you don’t have to worry about servers and hosting. It is free to use, and the group chat function makes it ideal for gamers. 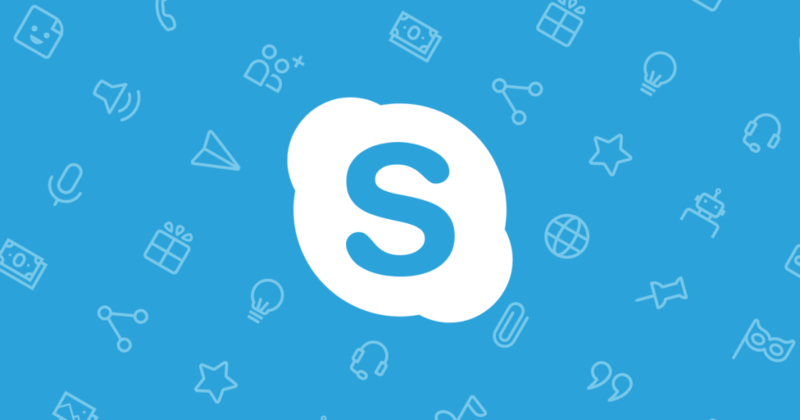 Skype is not as feature rich as other software such as Discord or TeamSpeak, but if you don’t need advanced features, Skype offers all the basic functionalities that you need from a VoIP software to play games. Skype supports features like call recording, Skype to phone number dialling, screen sharing, HD video calling, Live caption and more. On the flip side, Skype can be buggy and may face occasional crashes. It is also a resource hog, which will have a moderate impact on system performance. The VoIP gaming programs allow you to bypass the traditional phone network for digital medium of communication. VoIP software like Discord and TeamSpeak has kept the VoIP market for gaming niche alive and running. And the growing popularity means the software is bound to make it even bigger thanks to the ever-growing multi-player online gaming community on mobiles phones. Apart from the one mentioned above, there were a few other popular VoIP software like GameVox and Curse which were unfortunately discontinued for various reasons. It is also important that you pick a voice chat client based on your requirement. If you don’t need too many features, pick something that is light and fast and has minimal impact on your computer’s performance. What’s your pick? Is it Skype, Mumble, Discord or TeamSpeak for you? Do let us know your pick in the comments below.